Yo Soy Muslim: A Father's Letter to His Daughter by Mark Gonzales and Mehrdokht Amini is a touching and lyrical picture book about a father encouraging his child to find joy and pride in all aspects of their multicultural identities. 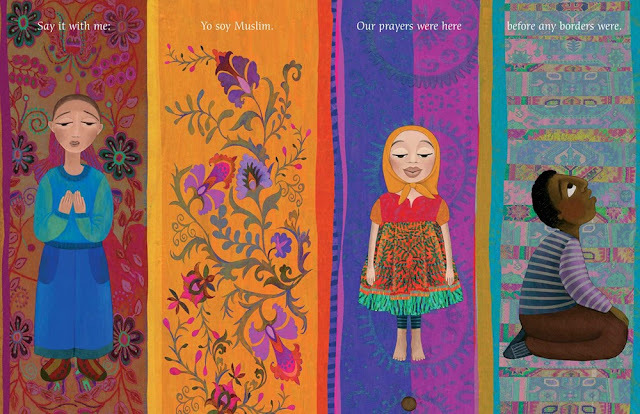 The lyrical text of this book carries readers through a story wherein a father watches his daughter grow up and encounter many questions about her heritage. 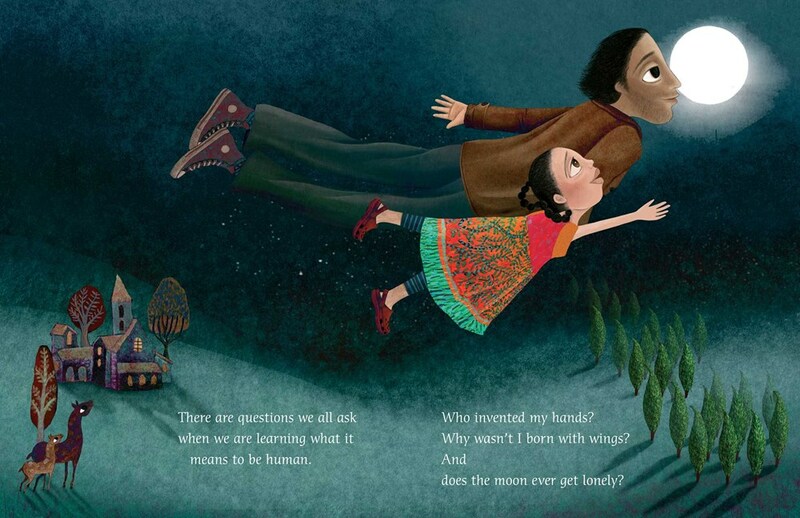 There are questions that everyone asks, questions about being human and what it means to be alive, but this father knows that his mixed race daughter will encounter more personal questions in her lifetime, like "what are you" and "where are you from." And, sadly, there will come a time when people will shun her because of how she looks. But all the little girl has to do is be proud of who she is and understand where she comes from to combat these trials. And with that pride and understanding comes freedom. Everything about this book, from the design to the illustrations, is just absolutely breath-taking. 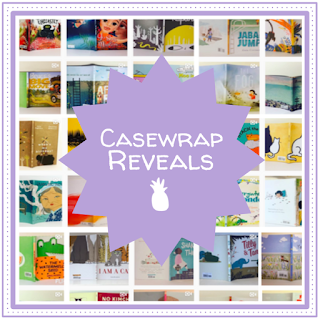 The case cover is unique, the title and half-title pages are different from each other but still tie together, and the digital illustrations are vibrant and diverse. 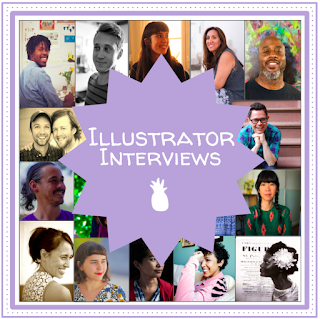 Amini uses wild patterns across her illustrations so that each one stands apart, both from other illustrations and from the backgrounds they're on: so while we see a farmland with abuelo working the fields, we as readers can see the diversity that lies within these fields, from rivers to crops to sheer greenery. It's a beautiful visual for the combination of many things adding up to one, like the girl's many identities add up to who she is. 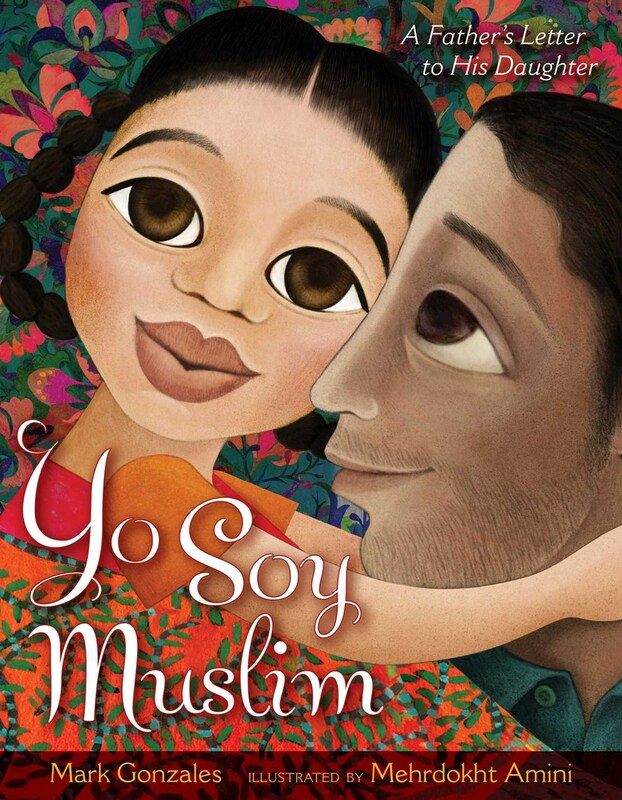 Yo Soy Muslim: A Father's Letter to His Daughter published from Salaam Reads in August.